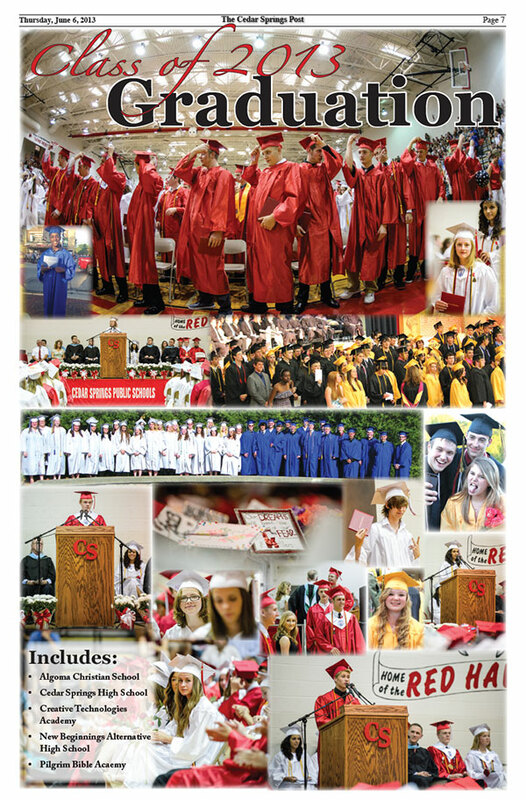 Hundreds of students stepped out into a brand new world over the last couple of weeks as they graduated high school and now celebrate what lies ahead. Here in our area, students graduated from Cedar Springs High School, New Beginnings High School, Creative Technologies Academy, Pilgrim Bible Academy, Algoma Christian School, and Tri County High School. 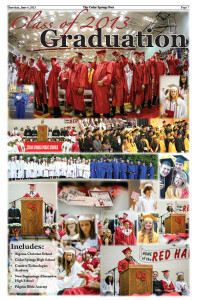 To see photos of all the top honors students in our area and class photos, click link below to download our Graduation 2013 feature.